Celebrate this popular Chinese holiday with costumed folk dances and authentic music, presented by the New York Chinese Cultural Center. Produced in collaboration with the New York Chinese Cultural Center. 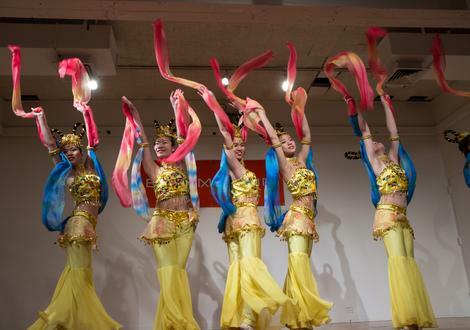 The New York Chinese Cultural Center (NYCCC) is dedicated to deepening the understanding and appreciation of Chinese culture in the global and local communities. NYCCC offers professional classes, workshops, and performances that reflect the rich cultural heritages and diverse communities of today. For more information visit www.chinesedance.org. Public and Community Engagement Programs are made possible by the Institute of Museum and Library Services and the Mertz Gilmore Foundation.